This is the official thread for Project Super Smash 4. 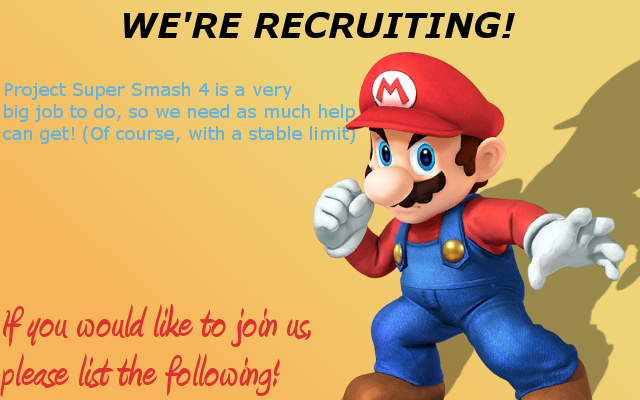 A project dedicated to making SSB4 in Brawl, so people without WiiU/3DS can get it, and so that you can have hacks and newcomers from SSB4 at the same time. It's also same project as Project Sm4sh Brawl, don't get them mixed up; you can't, they're the same. Want more Poll Results? Check our new poll result archive thread! Yoshi joins the battle!! 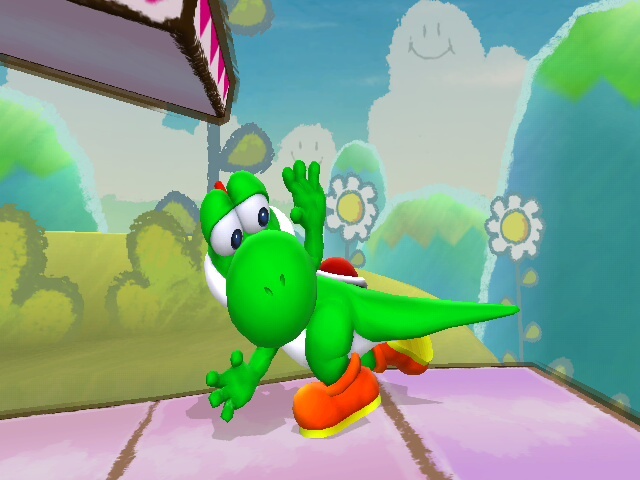 Yoshi is already released, so enjoy playing as it in Project: Super Smash 4! The WiiU/3DS Version: Will have everything that we've made. This is the main version, and the one I recommend you to get. The Brawl Version: The version built for people who don't appreciate change. This is basically just DLC for Brawl, it adds the new characters. There are going to be lots of different characters in Project Super Smash 4.
making changes that Nintendo is making from Brawl to Super Smash Bros. for WiiU/3DS. For example, Kirby will have his new Hammer Flip move, instead of regular old Hammer. Plus, each character who used to be able to switch now cannot switch. Finally, each character is going to have their own profile located here, listing pretty much everything about them. Coming soon, taken down for important reasons. Anyone on the team can playtest at any time, provided they have a Dropbox account and/or the current Private Build; Which is still under construction. Q: Does this Project use the Brawl Expansion Project to add new Fighters, or replace the original ones? A: This Project will not remove or replace any characters from the original Brawl Roster. However, there will be plenty of improvements to each character, and some Fighters are now separated from others. Q: Is this a custom build of Project: M? A: No. But there is a Melee Version for you P:M users! Q: There's been debates going on about costume alts. Will it be done? A: Sort of, but for now, we're just doing recolors. Q: Are you using Smash 4's CSPs, or original ones? A: Smash 4 CSPs. We have a lot of resources, too. Q: Is there DLC for this Project? Is Mewtwo in it? A: Yes, there's DLC characters! And Mewtwo is one of them!! Hope you like the Project so far! It looks like a decent project, i'll join, My favourite character from Brawl was Sonic, So i might make a PSA & textures for him. Sweet! So... Could you tell me in a little more detailed way of exactly what you want to contribute to our project? I would like to contribute animations textures, And PSA work to characters like Sonic and Pac-Man. Sweet! Remember to upload them to BrawlVault, or at least give me the links to dropbox/mediafire. 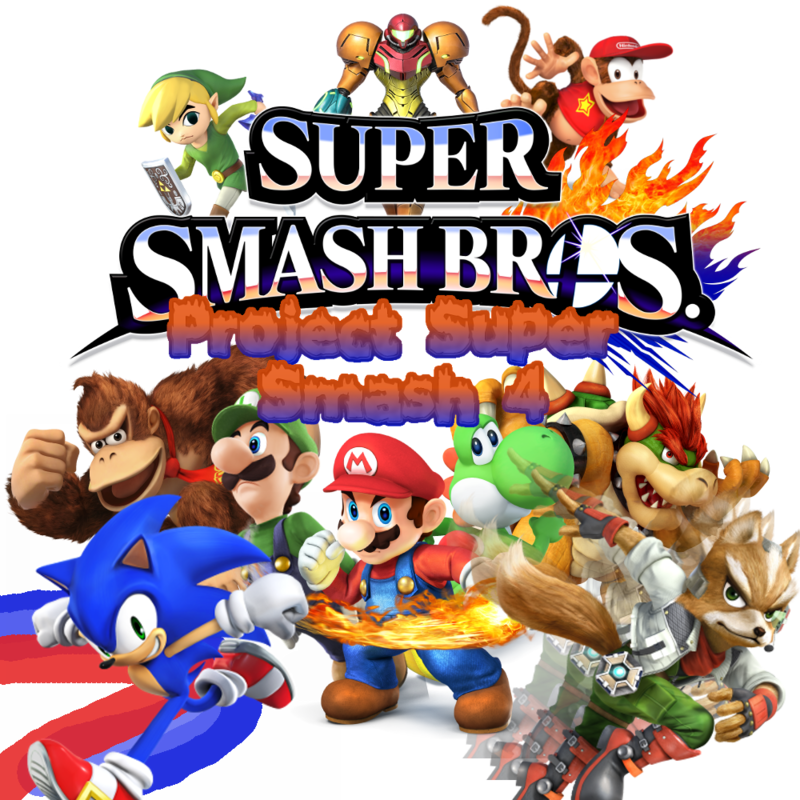 I'm thinking maybe Project Super Smash 4 should get its own dropbox that we can put everything in. What do you think? Okay, then. Project Smash 4 dropbox it is! I make previews and things. Not much else I can do right now. Kirby and Jigglypuff FTW. One for me and one for my girl. I'm free whenever I want to be free. Update: Oh, and Kirby's my favorite character, too! 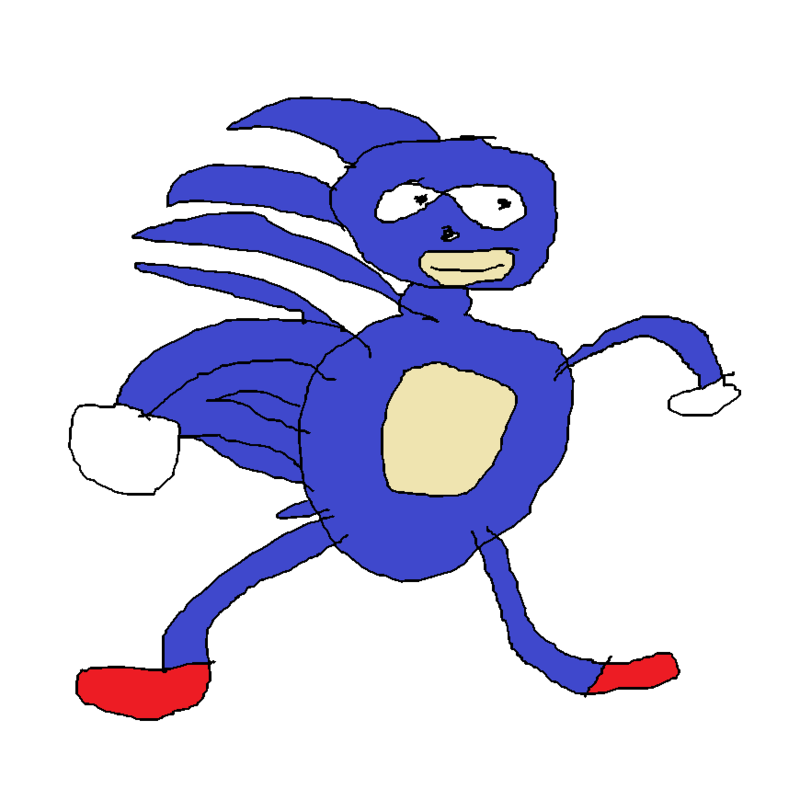 Been thinking some really good improvements for Sonic.. How does faster homing attacks and making him more of a combo character sound? Maybe, but we're using SSB Wiki for reference, so there have to be only changes that are legitimately made in the real SSB4. But I like it, keep up the good work! Oh ok, BTW, I would appreciate it if you checked out my project SSBX, Its kind of a mix between Melee and SSB4. Maybe we can help each other out in certain problems we run into. Page created in 0.622 seconds with 24 queries.